Each year, Haitian women are dying in significant numbers from both cervical cancer and pregnancy related complications. The Haitian maternal death rate is the worst in the Western Hemisphere. 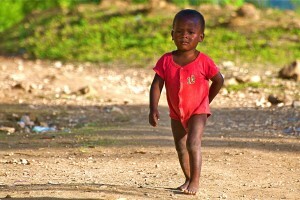 In Haiti, 49.2% of cancer deaths are related to cervical cancer as compared to 2.5% in North America. 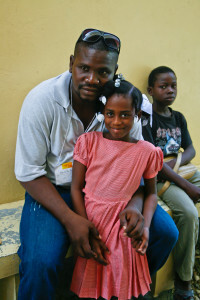 As a Haitian woman, you are six times more likely to die of cervical cancer than your American counterpart. For over 20 years, Family Health Ministries has been working to reduce the maternal death rate in Haiti. 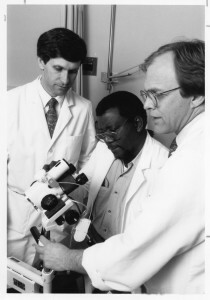 In 1993, Dr. David Walmer set out to make a difference in the lives of Haitian women. As an obstetrician and gynecologist, he understood the gravity of the statistics mentioned above. 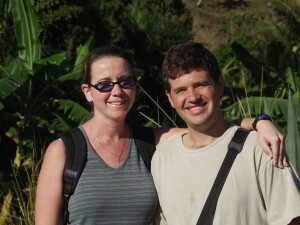 At the request for help by one Haitian physician, life dramatically changed for Dr. Walmer. 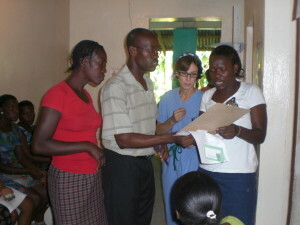 Since those early years, Family Health Ministries was established as a non-profit and six clinics now have dedicated Haitian staff to screen women. Over 13,000 women have been screened for cervical cancer in these facilities. In January 2014, Family Health Ministries met with FOSREF, USAID, UNFPA, and the Ministry of Health to discuss the future of cervical cancer screening in Haiti. Who would have thought back in 1993 there was potential for a national screening program? It has taken 20 years to get to this point, but persistence and perseverance prove rewarding. We have dealt with political instability, hospital closings, hurricanes, and an earthquake, but our Haitian staff and friends have taught us how to get back on our feet and continue to move forward. We credit our success at Family Health Ministries to the two decades of personal relationships that have developed along the journey. In reality, it is the Haitian people who understand the problems of their country and they know how to solve those problems. We are there in partnership to follow their lead and help provide the needed resources. It is not for us to dictate the solutions. Laying the Foundation: Dr. David Walmer makes his initial trip to Haiti, discovering his passion for helping Haitians with health care needs. Cervical Cancer Education Program is launched to educate women on the dangers of cervical cancer and what the options are for diagnosis and treatment. 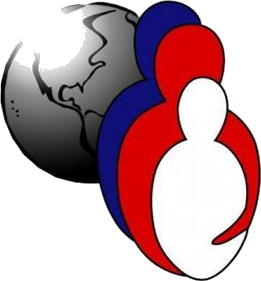 Family Health Ministries is established as a non-profit. The Fondwa School sponsorship program at the Saint Antoine School in Fondwa begins. 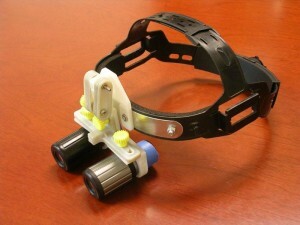 FHM’s portable colposcope, the CerviScope, is tested in Leogane, Haiti. Construction on the Fondwa Orphanage begins. The first dedicated cervical cancer (HPV) clinic opens at Hospital St. Croix. Public health outreach program begins in the Blanchard community. The Blanchard Clinic opens its doors to patients. FHM moves US staff to new office in Durham, North Carolina. The Infant Nutrition Program begins in Fondwa. 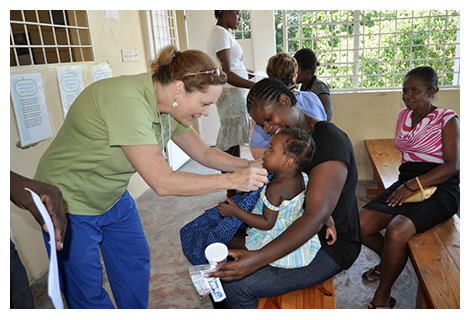 FHM forms partnership with Qiagen Corporation to begin HPV testing in Blanchard and Leogane. Formal partnership is formed between Duke Global Health Institute and FHM. One-year anniversary of Haitian Institutional Review Board. 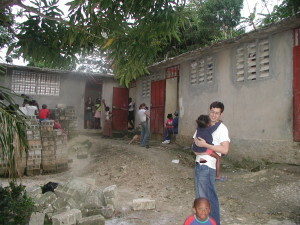 On January 12th, a 7.0 earthquake struke Haiti. 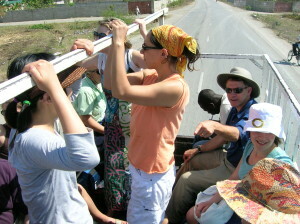 The epicenter was between Port-au-Prince and Leogane. 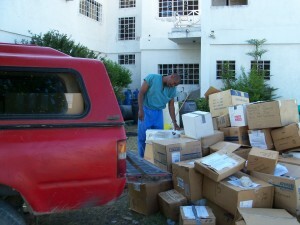 Emergency medical supplies and relief teams sent to Haiti. Infant Nutrition Program begins in Blanchard. 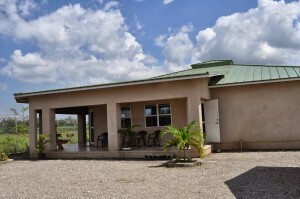 Phase One of The Leogane Family Health Center, the Nancy Ferree-Clark Guesthouse, is complete. 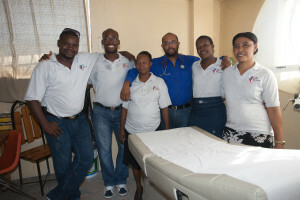 Haitian OB/GYN Society endorses the FHM cervical cancer screening protocol. 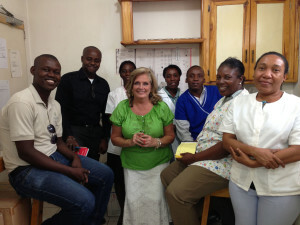 FHM opens the first HPV clinics in Haiti: In partnership with FOSREF, FHM opens 5 HPV clinics in Haiti. The new Saint Antoine School in Fondwa is open to students Fall 2013.